When thinking about the most popular Bollywood Jodi's the name that pops in our minds is Shah Rukh Khan and Kajol. Now that Varun Dhawan and Alia Bhatt are all set to appear together the fourth time in the period drama, 'Kalank'. They often get compared to the iconic Bollywood Jodi Shah Rukh Khan and Kajol. Speaking about the comparison with SRK-Kajol, Varun said, "I think it's a big comparison for us. They have done seven films together and become iconic for all. I would not want to take that comparison because I have grown up watching their films. I think me and Alia are aware of the love we get from our fans. I think people like to watch us, hence directors cast us together again." "We can't replace Shah Rukh Khan and Kajol's Jodi ever. 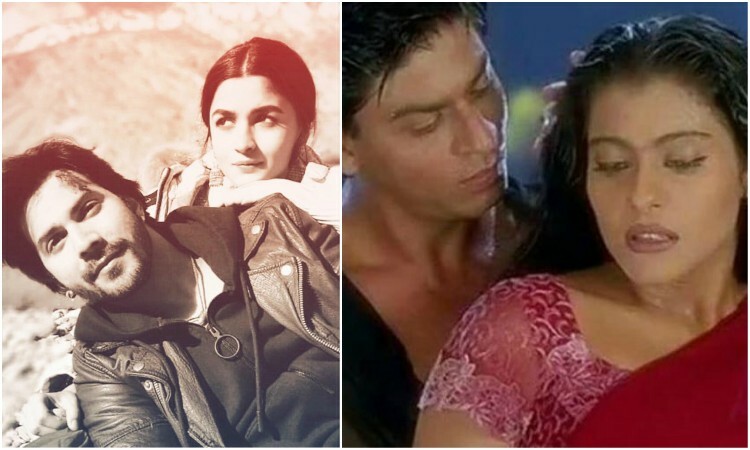 Imagine the impact of SRK-Kajol Jodi as we are still talking about them. I take these comparisons superficially. I feel people should remember Varun-Alia's Jodi as an entertaining one in Bollywood," the 'Kalank' actor added. Varun Dhawan and Alia Bhatt are playing Zafar and Roop respectively in the film. Directed by Abhishek Varman, Kalank also stars Madhuri Dixit-Nene, Sanjay Dutt, Sonakshi Sinha, and Aditya Roy Kapur in lead roles. Produced by Karan Johar and Sajid Nadiadwala, the film is set to release on April 19, 2019. Rajkumar Hirani gets FELICITATED as 'Director of the Year' for Sanju Janhvi Kapoor's SECRET PERSONALITY REVEALED! Here's who she TRULY is!